Staff photo by Cole Dittmer. 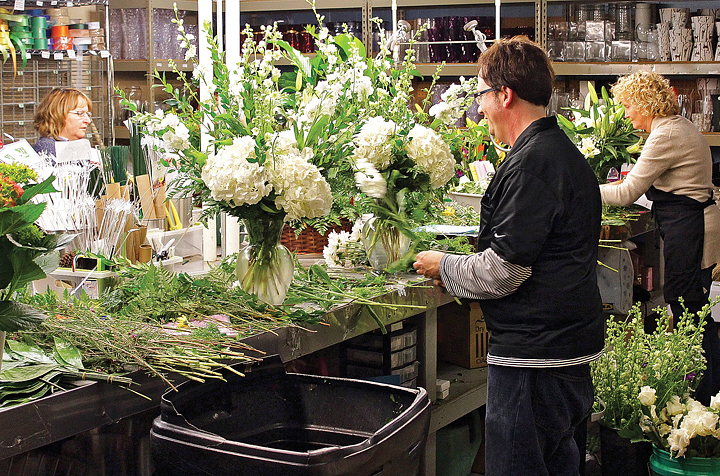 Floral stylists with Julia’s Florist create arrangements Friday, Jan. 23. Julia’s Florist is one of the founding members of the Small Business for Film organization. Cook said the list of small businesses that benefitted from the film industry is expansive and diverse, from restaurants and caterers to businesses creating items for the sets like sign makers, clothiers, antique merchants and hardware stores. Fresh from a discussion about film incentives with leaders from the City of Wilmington Friday, Jan. 23, newly elected N.C. Senator Michael Lee, R-New Hanover, said the message of the Small Business for Film organization would be a powerful one and a tool for him, and Representatives Susi Hamilton, D-New Hanover, and Ted Davis Jr., R-New Hanover. Lee said he hopes his fellow legislators understand the impact the film industry has on economic development within the state. Still hopeful, Cook said she thinks Small Business for Film will help illustrate just how many different people were affected by the decision to cut the film incentive program. Great story. SmallBusinessForFilm.com is now at 290+ members. 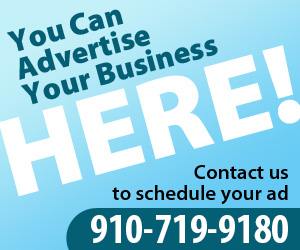 We need vendors and businesses across North Carolina to register their support for our industry!